In an industry where there is continuous technological change, a fast, reliable internet connection is of utmost importance to business success. At Midshire, we provide a range of superfast broadband packages to ensure your business has the speed and reliability needed to ensure consistency and improve productivity. We have a number of cheap, cost effective broadband packages and plans, catered for businesses and organisations which require high bandwidth at an affordable price. We have all been there, trawling the internet to compare providers and suppliers for the best broadband deals. With Midshire you can be rest assured that when your business implements a review of your connectivity needs, we can provide a bespoke solution, suitable for your needs, now and into the future. For most businesses, internet connectivity is vital to productivity and efficiency. A reliable broadband connection is of utmost importance otherwise it could impact you financially. Midshire market leading Superfast FTTC Business Broadband will aid your business in increasing productivity as well as providing you with the connectivity speeds to help you grow. Our Superfast FTTC Business Broadband is designed specifically with businesses in mind. It caters for businesses that require a fast, reliable internet connection. Superfast FTTC Business Broadband is ideal for businesses relying on fast internet access, Cloud and CRM integration as well as being the backbone for VOIP connectivity. Midshire Ethernet Leased Lines are the most reliable internet connectivity solution on the market. As Ethernet Leased Lines do not run over single analogue lines, if there is a line fault, your broadband connection is maintained. 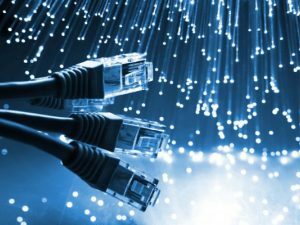 As well as far greater reliability, Ethernet Leased Lines also have the added advantage of a more reliable connection speed. With this in mind, they are popular choice amongst businesses which are looking to integrate all voice and data traffic in an office. ADSL business broadband is the most basic type of broadband connection that we offer. Perfect for everyday web browsing, uploading and sharing content and basic streaming. ADSL business broadband comes in a variety of different packages and plans, depending on how fast you would like the broadband speeds to be. Overall an ADSL business broadband connection is suitable for a small sized business. MPLS Networking offers businesses with multiple sites a highly reliable and secure inter site networking solution. This can significantly lower broadband costs for your business. MPLS doesnt require the need to purchase and manage multiple firewalls and routers, as your data traffic is routed within your own secure virtual private network. See what other businesses, who use Midshire Broadband service, think on our review page.